It’s been another great year for the iPad, and for iPad apps. There are now over 170,000 iPad apps available in the App Store (as at 12/21/11). And as Apple’s TV ads for the iPad so nicely illustrate, there are now iPad apps for just about anything you care to do with your favorite tablet device. Great iPad apps play a huge part in making the iPad such a massive success and the leader in the tablet arena. Just as I did in 2010, I’ve tried out scores of iPad apps this year – and once again some are mediocre, some are poor, and happily many are outstanding. So I’d like to share my choices for Best iPad Apps of 2011 here. I should mention that there are a number of repeat choices here – as in, apps that were on the 2010 list that are still worthy of being in this year’s list too – but of course there are plenty of new ones too. Any apps that are repeat choices for 2010 and 2011 will be marked with an asterisk next to the their names. The Fantastic Flying Books of Mr. Morris Lessmore: If this app doesn’t soon make it into an iPad TV commercial I’ll be shocked. It is the epitome of what makes the iPad live up to its ‘magical’ billing. A wonderful story about books and the love of reading, full of gorgeous illustrations, animations, and fun interactive bits, rendered perfectly for the iPad. This is truly an app that makes the iPad feel magical. Weather HD *: A repeat selection. A very basic weather app with a gorgeous interface featuring beautiful video animations of the current conditions. I’ve seen many other apps imitate this style but none have matched this one. It is continually adding features and further weather details that can easily be toggled on and off the main display. iA Writer *: A clean and elegant app that is superb for focusing on writing. Its brilliant keyboard extensions make it much faster to move between characters and words while writing. Focus mode helps you concentrate on just a single sentence at a time. It has Dropbox support, iCloud support and a very nice Mac desktop app to pair up with. Plain Text: Very simple and clean paper-like interface that’s very comfortable to write in. Lets you create folders to organize your notes in and syncs automatically and reliably with Dropbox. With the Dropbox sync, it’s easy to access notes from Plain Text in your preferred desktop app. Elements: Another one with a clean UI that’s very nice for writing in. 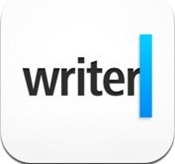 It’s touted as a ‘dedicated Markdown and Dropbox powered text editor for iOS’. In addition to solid Dropbox support it also offers a Scratchpad for jotting down spur of the moment thoughts quickly and the ability to publish to Facebook or Tumblr. Evernote *: An incredibly powerful and feature-rich note taking app that’s available nearly everywhere – on iOS, on the Mac or Windows desktop and in all the leading browsers. Has built-in OCR abilities that will even find search terms within images. 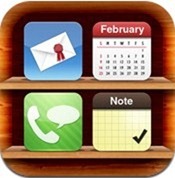 Lets you create text notes and voice notes, organize them in notebooks, and syncs automatically and flawlessly. The least clean and attractive editing interface, but it allows for rich text editing on the iPad with lots of formatting options. Keynote *: Apple’s whole iWork office suite for the iPad (Pages, Numbers, Keynote) are all very good apps, but Keynote is the star of the suite in my view. It may be the best app of any kind for the iPad in terms of ability offer a hugely powerful set of features while making them all intuitive and easy to use. All you need (and more) for creating and viewing top-notch presentations on the iPad. Imports and exports in Powerpoint compatible file format. Pages and Numbers *: The other 2/3 of the iWork suite for iPad – Pages for word processing and Numbers for working with spreadsheets. Both are extremely capable apps with a simple UI, desktop companion apps for the Mac, and the ability to import and export in Microsoft Office compatible formats. 1Password for iPad *: Still by far the best password manager app for the iPad, iOS and Mac. Industry standard security, an easy and basic interface, desktop partner apps for Mac and Windows, excellent sync with Dropbox sync as an additional option. The app also receives frequent updates and just keeps getting better. If you will also use it on an iPhone, the 1Password Pro is a good option. OmniFocus: A hugely powerful and feature-rich tasks management app for the iPad. There are iPhone and Mac companion apps for it and it offers seamless, automatic and over-the-air (cloud) sync between all three. This syc is better than any I’ve seen in any of the many task management apps for iOS that I’ve tried. The iPad app has a very nice interface so it’s easy to view, add to, and manage all your tasks. One of my favorite things about the app is its superb and customizable Perspectives views. It’s quite pricy, so probably not for everyone – but if you’re a power user of tasks to run your work / life, this app is a godsend. 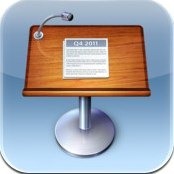 Office2 HD *: Very versatile app for viewing and working with Office type documents. Gives you easy access to your documents stored in Google Docs and Dropbox – and lets you edit them and save back up to those cloud locations. Lets you work with Word, Excel and Powerpoint files, and can open PDF and txt files as well. GoodReader for iPad and PDF Expert*: Two superb apps for working with PDFs on the iPad. Both allow you to view, edit, annotate, and sync files with several useful cloud services (including Dropbox and Google Docs). PDF Expert allows you to fill in forms. GoodReader also supports other document types like iWork and MS Office. Both have long and impressive feature lists. 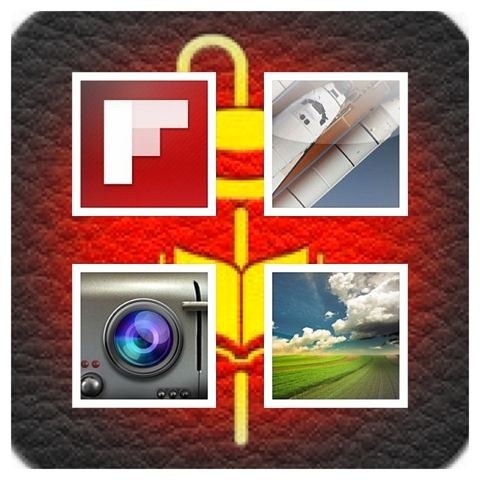 Price: GoodReader is $4.99, PDF Expert is $9.99. Dolphin Browser HD: An excellent alternative browser for the iPad, with a number of unique and powerful features. These include a webzine for favorite sites, gestures / symbols to access frequently used sites, tabbed browsing, speed dial, full screen mode, and superb sidebars you swipe to invoke for toolbar and bookmarks. 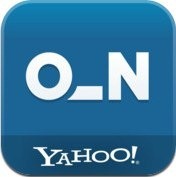 IntoNow: Yahoo’s app is both a major ‘wow factor’ app and one that makes TV viewing social on the iPad. You tap one big, green button while you’re watching TV and the app will quickly identify the show you are viewing – like Shazam for TV. It’s incredibly accurate in identifying shows and makes it easy to share what you’re watching to Facebook, with or without a comment. You can also connect to friends via Twitter, Gmail and your address book and see what they’re watching. Or just follow the Everyone stream to see what others are watching. It also gives you one tap access to show information from IMDB, iTunes, and Netflix. Facebook: It took them a long while, but Facebook finally released an iPad app this year. It’s a little buggy but it’s still the best way to keep up with the ridiculously popular social network on your iPad. Twitter: Another official app, this one was originally the excellent Tweetie back in the day, and it’s still got a superb and intuitive interface. You can do pretty much everything that even Twitter power users need in this app. For me, it’s far nicer than using the web app. Photo Toaster: Very powerful but still easy to use app. With it you can do everything from making subtle lighting adjustments to applying a wide range of cool effects to your images. This app has transformed a number of my clumsy photos into quite nice images – including some taken with the iPad 2’s very low quality camera. There are a number of stellar apps in this category but this one is my most frequently used. Pixlr-o-Matic: Very nice free app that lets you quickly and easily apply some lovely retro effects to your photos. It’s developed by Autodesk, a blue-chip software publisher and feels a little bit like Instagram for the iPad. 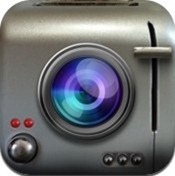 100 Cameras in 1 for iPad: Another great photo effects app for the iPad. This one boasts an interface that’s unique, easy to use, and even quite fun to use. It’s the creation of the acclaimed photographer, Trey Ratcliff, and as the name implies it offers a range of 100 gorgeous effects that can be applied to your images with just a couple of taps. You literally just swipe through the effects and choose the ones that you like best. I love that the effects have lighthearted and fun names – for instance ‘Where the thunderdome shook the earth’. Photogene for iPad: This one is stronger on the editing side of things, but also offers some effects. My favorite of its many good features is that it makes it easy to make collages from selected images. This can be done with only a few taps and you get a nice little range of options for how the images are positioned (with more available via In-App purchase). FX Photo Studio HD *: An early and constant favorite of mine on the iPad. Has a huge range of over 180 effects, and a very nice, simple UI to work with. The developers issue regular and substantial updates for this app, so it’s continually improving. Photo Transfer App: Not an editing or effects app but an incredibly useful app to use when working with photos between iPad, iPhone and PC (Mac or Windows). As the name suggests, it handles transferring images wirelessly – making it easy to move them from iPhone or PC to iPad and from the iPad to iPhone or PC. Video Time Machine: An spectacular curated collection of great videos ranging back all the way to the 19th century. Filled with so much excellent content (over 10,000 videos and growing) that it is very easy to spend hours upon hours in the app, and enjoy all of them. Videos cover a wide range of categories, from sports to TV commercials, from news to games and music. You can browse through categories, let it serve up random videos, or use a simple spinner control to dial up the year you’d like and see all videos from that year or filter by category. Has AirPlay support so you can see all its content on a big screen TV if you’ve got Apple TV. Squrl: Squrl is the best app I’ve seen for video discovery, and a great app for viewing all the best video content from a broad range of the best current sources. The app makes it easy to add videos to your queue, organize them in channels and make your own playlists. It’s got a web browser bookmarklet for adding videos to your queue as you spot them. It’s also a very social app, that lets you see what’s trending and what videos your Facebook and Twitter friends are watching if you connect those services. Fanhattan: Another very cool discovery app – this one focuses on helping you find the best movies and TV shows available via various on demand services. It’s got a gorgeous UI that serves up a huge amount of great information on movies and TV shows, to help you choose what you want to watch – including trailers, reviews from Rotten Tomatoes, details on cast and crew, fan reactions, soundtracks where available, and more. Fandango Movies: This one has been the best movies app for iOS ever since it hit the App Store and the iPad version is superb. It’s got all the info you need to help choose a good movie to go see in the theater. You can browse for movies, see trailers and reviews, interviews and more, check showtimes, and even book your tickets within the app. Groovebug: A lovely mixture of music magazine featuring your own music collection and music discovery engine for the iPad. It scans your music library and compiles pages for for all your artists which feature their songs, videos, related artists and more. All in a beautiful interface that almost feels like a whole bunch of very nice album box sets bonded together. A great way to enjoy your own music more on the iPad and discover new music. TED *: The amazing TED Talks on iPad. TED Talks are ‘Riveting talks by remarkable people, free to the world.’ This app puts over 700 of them on your iPad, with more being added every week. A go-to app for whenever you want your brain to get some real stimulation. Star Trek PADD: The ultimate insider’s glimpse into the Star Trek Universe. It has details on anything and everything you’d want to know about Star Trek, including episodes, characters, food and drink, and ship blueprints. Not only that, it looks and feels like something the men and women of the starship Enterprise would actually use. Flipboard *: A flagship iPad app and still the standard for news apps on the iPad. Completely customizable to suit your tastes, great aggregator of all your favorite sources (from Twitter and Facebook to Google Reader), and a gorgeous magazine style layout that makes all the content really pop. Instapaper: The original and still the best app for saving articles for offline reading. Has bookmarklets for one-tap saving for the Safari browser on the iPad and desktop. Provides a great interface and renders articles clutter-free and optimized for the iPad. Has a wealth of strong features and nice little touches to make it ideal for reading. River of News *: There are a number of good options for RSS reader apps on the iPad that sync with Google Reader, but River of News is the best I’ve seen (and I’ve tried lots). It offers seamless, fast, and complete sync with Google Reader, great features and options, an ‘infinite scoll’ viewing mode, and a great looking interface. The New Yorker Magazine: Superb content and a simple, elegant and wonderful UI to read it in. You can buy single issues or take up a reasonably priced monthly or annual subscription plan. One of the rare quality magazines that feels like a lot of effort went into making a real iPad edition. Price: Free app; single issues at $4.99, subscription plans at $5.99 monthly or $59.99 annually. Wired Magazine *: Great content, lots of multimedia and interactive elements throughout the issues, top-notch typography, photos and layouts. Above all, this is the magazine title that has most embraced what the iPad offers as a medium. This is a another proper iPad edition and because of that it’s a pleasure to read on the iPad. Price: Free, $4.99 per issue; subscriptions at $1.99 per month or $19.99 annually. Instacast HD: iTunes on iOS has always handled podcasts, but only in a very basic way. So there’s always been a need for really good podcast client apps on iOS – and this is it. It’s packed with great features, and it makes everything related to podcasts easy – from finding shows you like to downloading them quickly with zero effort on your part, to letting you know when new episodes are available and presenting tons of useful information while you’re listening to or watching a show. Blogsy: We finally have a very good blogging app for the iPad. It’s got a slew of good features and the best interface (by far) of any iOS blogging app. Lets you drag and drop images into posts from various sources including the photo library and Flickr, offers HTML and ‘rich’ editing, and makes it easy to create, edit and publish posts from the iPad. Supports WordPress (.com and self hosted), Blogger, and Posterous. 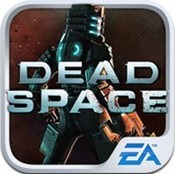 Dead Space for iPad: While sometimes horrifying and difficult to watch, it’s obvious why this won Game of the Year. The graphics are astounding, the music is electrifying and every moment leaves you on the edge of your seat. 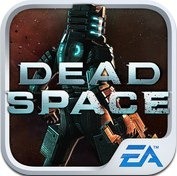 A true sign of great things to come for iPad gaming. Backstab: A fun hybrid, putting an Assassin’s Creed-like fighting style into a Pirates of the Caribbean world, all without a controller. The story is engaging, the quests are amusing and the environment the game creates is vast and detailed. Real Racing 2 HD: The best of a very good bunch of racing games for the iPad. Notable features include 30 cars and 15 locations, a good range of game modes, superb graphics including 3D visuals, excellent controls, and local and online multiplayer game options. And this was the first iPad game to be optimized for AirPlay Mirroring and playing on a big TV screen. Flick Golf Extreme HD: Offers up extreme golf on the iPad – extreme courses, extreme challenges, and extreme fun. It’s original, unique, highly challenging, and very addictive. It’s easy to pick up and play for short spells or to spend a long stretch with. Sid Meier’s Pirates! for iPad: This real-time pirate adventure game combines naval battles, treasure hunting and even governor’s daughter wooing into a thrilling and highly addictive gaming experience. Originally a PC/Mac game, the use of the touchscreen works wonders for this game, making it even better than playing it on a traditional computer. Trivia by Sporcle: Easily the best trivia app for iOS, or anywhere else, that I’ve ever seen, with a unique approach. Much more challenging than most because it is never multiple choice – it always forces you to know the answers. Each Sporcle quiz is a list for you to fill in – and the range and variety of lists is awesome. Sports is my favorite category and the timed lists include members of the 500 homerun club, name every Wimbledon winner, name every Premier League football club (ever), name every NFL MVP, and tons more. The game is updated daily with fresh new quizzes, and is a great time killer. 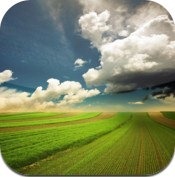 Pimp Your Screen: By far and away the best app for iPad wallpapers. Has tons of great images of all types, many of them wildly creative. Offers high resolution iPad images (and retina display quality for iPhone 4/4S), icon skins, app shelves, lock screen and home screen makers, easy previews, and lots more. Content is updated very often – so there are always fun new wallpapers to browse through. Ascent: Commemorating Shuttle by NASA: A spectacular movie and extra scenes featuring the very best of still and video imagery of Space Shuttle launches, rendered in the highest definition possible. The images and videos are just amazing to watch. Unscripted and superb commentary is provided by two key members of the Shuttle team. 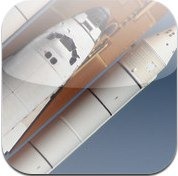 If you have even the slightest interest in the Space Shuttle and space travel, or have kids who have interest, then you’re going to want to grab this awesome app. Art Authority for iPad *: Spectacularly great virtual art museum for the iPad. Contains tens of thousands of the world’s greatest works of art, presented wonderfully well. It’s easier to get around than any museum and provides an intimate and personal experience with all the amazing art it showcases. A great educational tool and a true flagship app for the iPad. 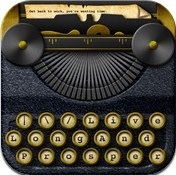 LIFE for iPad *: A superb rendering of LIFE’s famous and admired photos collection. The collection covers an enormous range of topics and places. A great family app this one, that you can spend many, many hours with. Terminology *: Touted as a ‘browser for the English language’ it’s a combined dictionary and thesaurus. It has a lovely interface and is easy and fun to use. I’ve found it continually useful for both my own reference and when my daughter stumps me with a words-related question. The Guardian Eyewitness *: Stunning daily images collection from The Guardian newspaper’s award-winning Eyewitness photography series. It is jam-packed with unique and powerful images. Also offers Pro Tips from The Guardian’s photography team to offer technical insights. 7 Billion: A great app from National Geographic. The population of the world is now at over 7 billion and set to continue growing over the next few decades – this app offers an in-depth look at what that means and how rapid population growth will change and impact the world we live in. 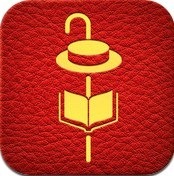 The Fantastic Flying Books of Mr. Morris Lessmore: See its entry above as our pick for Best iPad App of the Year overall. Solar Walk *: A 3D solar system model for the iPad. Offers close-ups of all the planets, details on their trajectories, structure, and history of their exploration, and points of interest as you navigate through space. Angelina Ballerina’s New Ballet Teacher: A charming story with narration that’s very well done. There are a good number of interactive spots to tap on each page as well – and the app offers puzzle and painting activities, as well as a handful of ballet / music videos. What makes this app outstanding is the superb CGI animations. Ultimate Dinopedia *: Excellent dinosaur reference app from National Geographic. Features over 700 dinosaurs, great artwork, full page images of each dinosaur, videos, audio clips with background on each dinosaur, and tons of fun information. Dr. Seuss eBooks from Oceanhouse Media: Many Dr. Seuss titles are timeless classics and Oceanhouse Media are the officially licensed publisher of them on iOS. These eBook apps feature the brilliant original artwork, fun, interactive elements, impressive, professional voiceovers, options to have the stories read to you, or for you to do the reading. These are lovingly rendered and incredibly well executed. Koto Go Silence: A lighthearted, fun, and well told story about a dog who fancies himself a ‘samurai of the night’ and sets out to track down all the things that go bump in the night in his house. It’s got fantastic and fun animations as well. A Charlie Brown Christmas: This app turns the beloved animated classic into an interactive storybook for the iPad (and iOS). A Charlie Brown Christmas does what many of the very best iPad apps do – manages to not feel like an app at all. When you’re using it it’s all Charlie Brown and all about the story. If you’re a Charlie Brown fan, or you’ve got kids in the house who will become fans, then this is a must-have app for the holiday season. 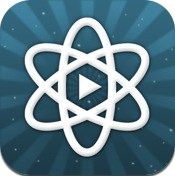 Science360 for iPad: A superb, fun, and beautifully done app full of strong content for those who enjoy science. The app is published by The National Science Foundation (NSF) and its content is a mixture of NSF-produced items and material gathered from scientists, universities, and NSF science and engineering centers. The 360 grid view is very well done and there’s always tons of interesting looking content to browse through. Its chock full of cool videos and stunning and unique images, all accompanied by text giving you the background on what you’re looking at. These picks, naturally, reflect my areas of biggest interest in the iPad App Store. I haven’t set out to cover every single category of iPad app, as there are some that just don’t grab me or that I’m not very knowledgeable about. My thanks to Beth Elderkin, who is a game reviewer for the site, for contributing some of the entries in the game section (and also the Star Trek PADD app). I’m happy that there are a good number of free apps here and a good range of prices – proof that there are excellent iPad apps to be had no matter what your budget is. I hope you will all jump in and share your thoughts on the apps I’ve included, what you agree and disagree with, and tell me about any great apps you think should have been included here. Please fire away in the comments with your thoughts. 1000 Places to see before you die – free version of the book. TRVL – free Travel Magazine with more than 30 free travel destinations. Stuck on Earth – free travel app for best places in the world to visit, photograph and experience. Spell Tower – excellent free word game. Zite from the company in Vancouver is far and away better than Flipboard as a news aggregator. I have seen no negative influence from the CNN purchase and they continue to improve the package continually. I agree, Zite is great, and Pulse is great as well. I agree with some of the opinions on the top ten list. 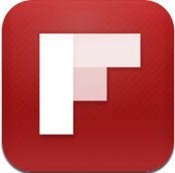 isn’t Flipboard awesome? Over all Patrick did a good job picking some of the best apps. However, in the photo editing section i have to disagree with him. Here are three amazing app that were missed? Pic Collage, CollageCAD, and Pic Jointer. I’m sure there are more but these three app is far superior then the best app listed above in the same category.